The early colonial settlement of South Africa, by the Dutch puritans and religious exiles known as the Boers or Afrikaners wasn’t all that different from that of the English colonies in what became the United States. The descendants of both colonists saw themselves as the rightful (and righteous) possessors of their territory. While the later apartheid regime was odious, it was a simply a 20th century (and more efficient) codification of the same attempt to maintain a tradition after the trauma to the prevailing ethos that was seen in the United States after the American Civil War in the “Jim Crow laws”. Both the First and Second Boer Wars were modern wars, the only difference being that the British invaders made no secret of their intentions to seize control of the regions’ mineral assets. The Second Boer War is noted today for its um…er… social innovations. Fighting an asymmetrical war against an indigenous (or indigenized) population, the British invented a new euphemism and new form of control — the “concentration camp” –for dealing with the locals. Secondly, to dispose of the military and political leadership — or potential leadership — the British pioneered the use of indefinite detention on far away islands, out of sight, and — in those pre-internet (and pre-television, and pre-radio and pre-wire service reports) days, out of mind. By this time, the United States had, of course, become an emerging world power, and had changed dramatically, although the “original families” still largely set the prevailing social and political standards. Naturally, as fellow puritans, as republicans who had resisted colonialism (and as fellow “white men” who took up their burden) there was a good deal of sympathy and support for the Afrikaner Republics in their hopeless fight against the might of the British Empire. Being a world power, there were restrictions on what the United States would commit itself to, and — as a new colonial power itself — it was not going to intervene politically or militarily for the Orange Free State or the Transvaal Republic. However, the elites, and much of the press, and the people of the United States, were sympathetic to the Boer cause. When, at the end of the war, one of the stalwarts of the Transvaal forces, and a pioneer in another innovation of that war, the modern commando army, General Benjamin Johannes Viljoen was released from prison on the Isle of Saint Helena (where Napoleon was also isolated), there was nothing much for him to come home to. Before the way, Viljoen had been a dirt farmer, during the war, an expert on asymetical warfare, and afterwards, an exile in need of a job. Viljoen wasn’t the only Afrikaner exile. A number of “enemy combatants” had been held in Bermuda, and like some of their carceral descendants today (to coin a phrase) in Guantanamo, could not be returned to their homeland for political reasons. Where to send them? Why Mexico, of course! Exiles from the “detention centers” in Bermuda, led by Wilhelm Snyman (who was allowed to leave Bermuda for the United States) were offered a chance to buy undeveloped properties in Mexico at cut-rate prices. The Mexican government was willing not just to take the Afrikaners, but to assist them in founding an exile colony. But, the Mexican government only had so much money available and the Boers were expected to pay something for the land. And these guys were broke. In April 1901, Snyman met with then U.S. President Theodore Roosevelt. Roosevelt was not only an heir to the original puritan elites, he was from a Dutch puritan family. Officially (Snyman and Roosevelt met at Roosevelt’s home on Long Island, New York), the President could not over-annoy the British with assistance to what the Crown saw as terrorists, but, unofficially, there was much he could do. General Viljoen had already scoped out suitable land in New Mexico, but found the price much too high. 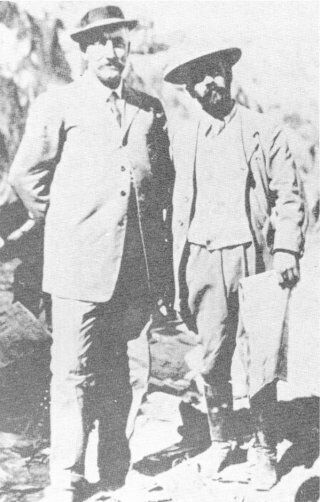 Roosevelt contacted Porfirio Diaz about resettlement and arranged for the South Africans to meet with Mexican Secretary of the Treasury José Ives Limantour. Limantour took the Afrikaners on a … well… Liman-tour, by Pullman coach on a government train to look at several sites, After rejecting the Yaqui Valley of Sonora (which would need repopulating, as the Yaqui were being sent to their own concentration camps in the Yucatan), the Boers found what they wanted near Carmargo, Chihuahua. Fifty thousand pesos for the 33,615 square hectares of the ex-Hacienda de Santa Rosalia was a steal. Or, would be if the Snymans could come up with the cash. Roosevelt, a successful author himself as well as a sometime military man quietly pulled a few strings among his fellow New York elites to guarantee Benjamin Viljoen’s My Reminiscences of the Anglo-Boer War and An Exiled General would have respectable reviews and decent sales. 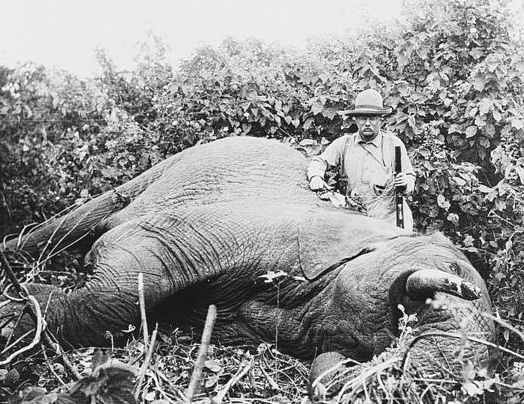 And TR had some interest in African slaughters, too! Furthermore, Roosevelt — who seemed to embody every American myth of his time — had been a wild west rancher and law man back in the day — was no snob when it came to raising money. And enough of a showman to recognize that the Buffalo Bill Wild West Shows of recent fame still had their audience. So, Viljoen and several other South Africans, joined by a collection of footloose British veterans of the conflict, mounted the Boer War Circus at the 1904 Saint Louis Exhibition to raise the last of the necessary funds for the Chihuahua colony. Viljoen himself, though, made enough from these enterprises to buy the land he’d previously seen in New Mexico, which apparently he liked well enough to leave his first wife back in South Africa and pick up a new bride in the Mesilla Valley. The Snyman colony — Hacienda Humboldt — managed to hold on, although its isolation (roads were slow in reaching the colonists) made it hard to attract new blood. The Afrikaners were relatively quick to realize that the labor practices acceptable back in Africa with regard the “natives” weren’t going to fly in Mexico and quick to adjust, there were very few social problems with their neighbors. Apartheid wasn’t in the colony’s future… just the opposite. Willingness to socialize began the decline of the specifically Boer nature of the enterprise, as Snyman’s sons and other younger members of the colony quickly married into local families. Adopting their neighbor’s political and social views — and sensing that Limantour had forgotten about them — even the unassimilated colonists were on the side of the Revolution. And one of their own — ex-General Viljoen was, in some ways, leading the troops. Francisco I. Madero may have been an “idealist” and more than slightly eccentric, but his family were good, hard-headed business people with their own elitist, born-to-rule sensibilities. When the Maderos decided on Revolution, they didn’t just shop for guns, but for proper advisers and agents. And went shopping for experienced experts on asymmetrical warfare too. They knew of, and about, the Boer War veterans colony, and were keen followers of trends in the United States. 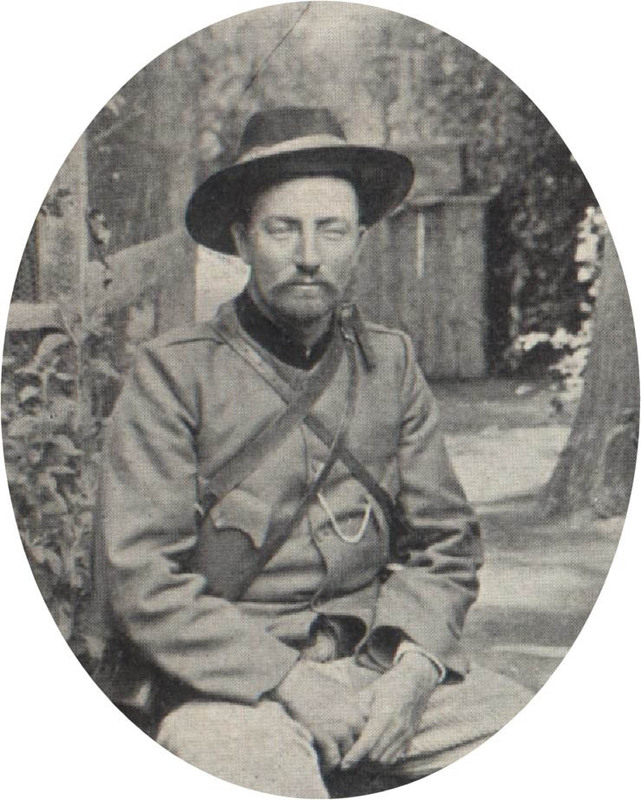 Viljoen — whose motto in the Boer War was “God and Mauser Rifles Will Prevail” was offered the job as chief-of-staff to the Madero Provisional Government. Although the Revolution was successful, in that Porfirio left power and Madero was elected to the Presidency, Viljoen was never an important enough figure in the Revolution to be more than a footnote. From the beginning there were problems. Giving orders to people like Pancho Villa was always problematic, more so when the Chief-of-Staff doesn’t speak Spanish, and Villa’s English was never as good as he thought. Villa usually did what he wanted, and just claimed he hadn’t been able to understand Viljoen. Viljoen, being a commando expert himself, was wise enough to figure that as long as Villa was winning, he wasn’t going to worry too much about it, facing bigger problems with Pascual Orozco, another loose cannon, and a more immediate danger. 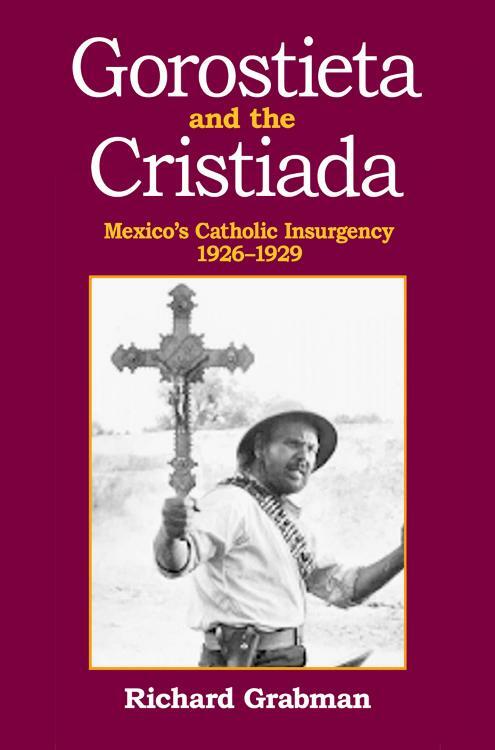 Orozco was suspected in May 1911 of attempting to bribe Viljoen to switch sides, and — by June of that year, was openly defiant of the Chief of Staff (Viljoen wanted to move troops to the Baja, while Orozco was threatening to overrun Ciudad Juarez). Villa and Orozco, besides able to communicate directly with their troops, also knew the countryside intimately — which Viljoen didn’t. And, his war having been in a country without railroads, and fought outside the few cities, had little relevance to the Mexican Revolutionaries, who recognized the strategic importance of the rail lines, and where even rural residents resided in towns, not on individual farms. Increasingly ignored, and distrusted by many because of his status as what was basically a foreign mercenary, Viljoet stayed on as Chief of Staff, but more as a theorist (and one that could be ignored) and media spokesman (his English was much better than most of the other Generals) than a key figure. 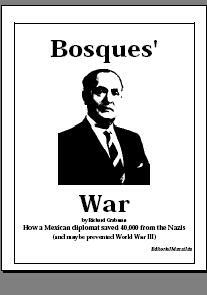 He left the Mexican army when Madero was overthrown, returning to New Mexico to take up an active role in local politics in the new U.S. state. He died in 1917. Hacienda Humboldt slowly disintegrated. Ironically, resolving the colonist’s original complaint sealed its demise. With access to the outside world, people left, most simply assimilating into the larger Mexican community. The more conservative Boers, looking for a South African community resettled near Viljoens in the Mesilla Valley, although during the Great Depression, most eventually moved elsewhere. 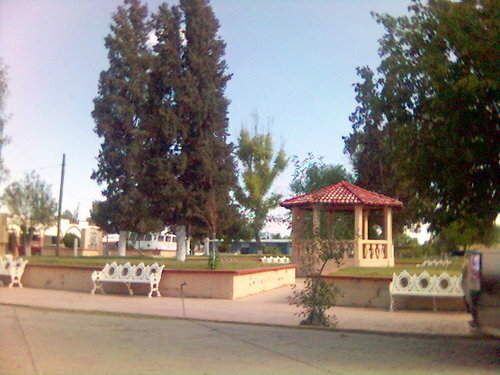 Today, Hacienda Humbolt is part of Ejido Julimes, with under 300 residents, none of whom would be identified as Afrikaner. Found this quite fascinating. Now, would you be interested in telling us more about the Menonitas in Chihuahua? A friend who grew úp on a farm near Saskatoon, with Menonite parents, says that Menonites who have lived in México for generations now want to retire back in Canada, and receive whatever government aid is available. The government up there isn’t pleased, of course. Perhaps when you are bored with other subjects (a slow news day?) you can talk about the Menonites in Chihuahua. My grandfather an American Marshall Latam Bond was involved in that he was hired by Teddy Roosevelt to help negotiate with the Mexicans. Wilhelm Snyman’s surname should be spelled Snyman, not Synman as above. Thank you. For once, I won’t take complete responsibility for consistently bad spelling, the name being spelled wrong in my source. Of course, I SHOULD have fact checked my source. From your name, am I right in guessing a relationship to “our” General Viljoen? I am a keen genealogist and the author of the Viljoen Family Tree, and am related to the late genl Ben Viljoen (but not a direct descendant). I still dream of writing the definitive biography about him, and his son (the late) Wynand Eugene Viljoen gave all his father’s documents and photos to me. Where can I find his book on his life in USA? a BOER IN A FOREIGN COUNTRY OF IETS VAN DIE AARD? I heard via the grapevine that a few of my family members are also doing some research into the Viljoen family tree, I was wondering if you were part of that side of the family that sadly I have little connection? and complete it for each male member of the family, and return it to me. My mother was born and raised in Hacienda Humboldt. Several of my family members of this area are blonde and blue-eyed. My cousin’s husband’s grandfather was a man from Holland, red-haired and freckled with a bad temper, who also lived here. The construction of several of the homes in this area had a European flair and had once been covered with lots of roses and flowers. As a child visiting my grandmother’s home there, it was a beautiful hacienda that still lived without electricity and modern conveniences. It has changed dramatically since those days as now they enjoy electricity and more modern construction of their homes. It is still a beautiful community and carries memories of yesteryear. The home my grandmother lived in was set high along the mountainside and had been used as a “power plant” by the Europeans, los “Alemanes as the locals called them. Water from an irrigation ditch flowed over the house and fell onto large stones which then flowed down the mountain. Behind the house, fortress walls were built out of stone several feet high with a lookout tower. The hollow walls allowed for men to stand inside them and had peep holes above the gun barrel holes in case of an “attack”. Pancho Villa had raided this community and set fire to several homes in the area but I am not sure what year that would have been. I would like to make contact with anyone who has pictures or history of this area. If anyone is related to any of these inhabitants, I would also be willing to work on establishing family trees. Hola Ivonne Sapien. MI nombre es Eduardo Muñetón Soto, soy originario de la Regina y me interesa de manera muy especial la historia de Julimes, es fascinante. Gracias por la descripción que presenta en este sitio. Si usted tiene más recuerdos al respecto le agradeceré los comparta, yo le puedo compartir información histórica que tengo en mi poder. Although of the Protestant faith and devout Calvinist Christians, they do not qualify to be called “puritans”, nor were the “religious exiles”. They emigrated from South Africa after the Free State and Transvaal republics lost their independence after being invaded by the British soldiers during the Anglo-Boer War of 1899-1902. Many of those who survived the war did not wish to “live under the hated Union Jack flag”, as genl Ben Viljoen himself said. He organised the emigration to Mexico, and later moved to the US, whilst other groups emigrated to Argentine in South America, to Kenia in Africa, etc. They were therefore not “religious exiles,” except that 220 years before the Anglo-Boer War their forefathers were religious exiles when a number of Huguenots who were persecuted in France, fled to the Cape of Good Hope. Viljoen is such a Huguenot surname. The word “Boer” simply means “farmer”. Many thanks. As with many of these posts, this was written in the hope of later having the luxury to revise and edit for publication. Perhaps my statement might better read “The original European settlers were Dutch Calvinists, and religious exiles, who would become the core of what were known by the late 19th century as ‘Boers'” . My comparison was to the early New Englanders, also Calvinists, and a fair sprinking of Hugonots and other religious exiles. In the U.S., we often tend to lump these groups together as “Puritans,” which is, as you rightly point out, not exactly correct. The term “Boers” is a contentious one, and not all Afrikaans speaking people would call themselves “Boers”. Many Afrikaners (especially of the southern part of South Africa) will tell you “I am not a farmer”, with reference to the word “boer” meaning “farmer” in the Afrikaans language. The Afrikaner people are considered to be about 55% of Dutch origin, 25 of German origin, and 18% of French origin (the Huguenots), and about 2% indigenous origin. 300 years ago, at the beginning of the settlement at the Cape of Good Hope, the Dutch were mostly officials of the Dutch East India Company, and the soldiers were mostly of German extraction. I suggest a more correct version of your sentence would be IMHO: “The original European settlers were Dutch Calvinists, French Huguenots, and German settlers who would become the core of what is known as the “Afrikaners”. Those who took part in the Great Trek of 1836-1838 to the north to escape British colonial rule, became known as “Boers” because of their agrarian existence, and they established the Free State and Transvaal republics, who were overrun by the British during the Anglo-Boer war of 1899-1902″. Wat ‘n ongelooflike verhaal! Ek woon al jare in die VSA en het familie in New Mexico in die distrik waar Genl Viljoen gebly het. Ek’s oppad soontoe vir ‘n kort besoek en gaan sien of ek dalk sy graf kan opspoor. Stuur asb. jou epos adres aan my! Geniet die besoek aan Las Cruces. Ben Viljoen lê begrawe in die Vrymesselaarsbegraafplaas, wat nie baie goed bekend is nie en ek het lank daarna gesoek! Thank You very much for a very interesting writeup. I am also not a direct descendend of Genl Ben Viljoen, but I have a keen interest in all the adventures of my namesakes. Hi Christo, My grandmother was a Snyman, a niece to Gen. Wilhelm Snyman, I believe. My sister used to write to “Uncle John Viljoen”, a pen pal, when she was a little girl. I have been trying to sort out the connection between the Snymans and the Viljoens, starting in the mid 1800’s and going through the “Boer War”, the second one. My grandmother, her sister, and their mother were held in one of the British camps for women and children during the war. A two year old sister, Martha Susanna, died in the camp. Do you have any advice for sources detailing the connection between the Viljoens and Snymans during this time? Hi Valerie, let me have the full names and birthdates of the two individuals concerned, and I will look if I have them on my genealogical databasis, and use PAF to calculate their relationship. Hi Christo, My grandmother was Ivy Enid Snyman, b. 11-4-1893, d. 1962 ? in Anaheim, CA. Her sister was Marie Sophie Magdalena Snyman, b. 3-11-1885, d. 1960 or 1961? in Watrous, NM. One source I have seen dates both deaths in 1964, but I don’t believe that is correct. Their baby sister was Martha Susanna Katriena,, b.1-31-1900, d. 1902, in Camp Irene, South Africa. I truly appreciate any information you may come across as regards these women. I only wish I had paid more attention to the stories my mother and her siblings used to tell about their parents and grandparents! Thanks Christo, I have sent the requested info, and many thanks to richmx2 for the piece on General Ben Viljoen and the Mexico connection. Wow… I never expected an intriguing footnote on Mexican history would become a “family reunion”… thank you Valerie for the kind words. You’re welcome. Funny what can come from using Google to search for information on someone, ie: General Ben Viljoen !